Over 4,000 square ft in this 4 Bedroom, 3.5 Bath in Lakeside City. 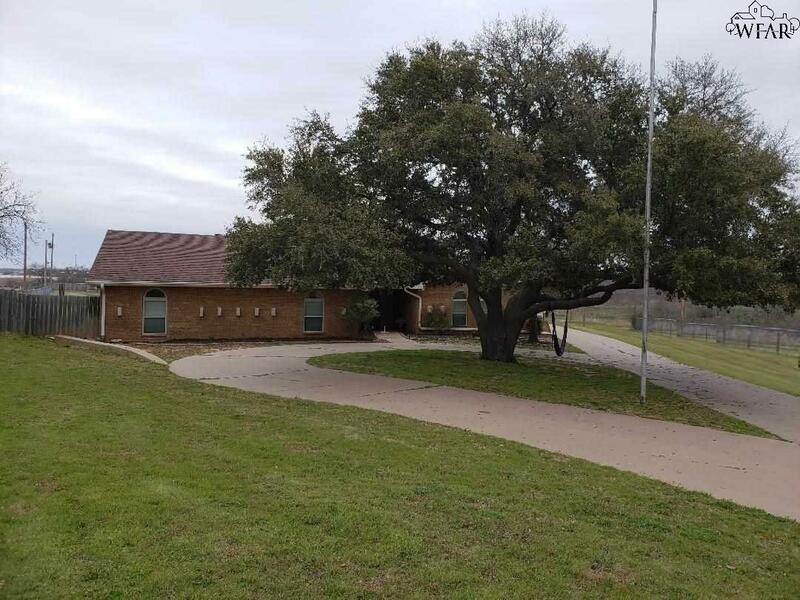 Private lot located on a cul-de-sac, totally updated home beautifully situated on 1.3 acres with a tank(pond), dock with a covered pad, and view of Lake Wichita. Two large living areas, 2 eating areas, huge storage area and walk in pantry. Beautiful Kitchen. Isolated Master Bedroom plus 2 other bedrooms downstairs. 1 large Bedroom and Bath upstairs. Home is very light, bright and open. Terrific workshop and storage area in back yard. Listing provided courtesy of Ryan Gehris of Usrealty.Com, Llp. IDX information © 2019 Wichita Falls Association of REALTORS® Multiple Listing Service.